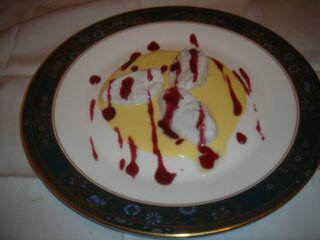 Creme anglaise, meringue poached in vanilla with raspberry coulis. This was made by personal request by a friend. Indulgence at its best.